No more ice cream at night for this gal. A friend of mine confided today her heartfelt wish that the Feminine Product Makers would combine the power of a Shamwow with a tampon. It would be called a Shampon. Mary is a genius and when she makes a zillion dollars from her invention, I can say I knew her when. The cramps I have today? Breathtaking. Meaning I take a breath and gasp in pain with any movement, including my own heartbeat. ok, I’ve seen it once or twice. And this picture might be in my bedroom, maybe. For now, however, I’m swallowing ibuprofen like tic tacs, plastering a fake smile on my face, and trying to just make it through the day. I would complain to my mother but I already know she would tell me to just “put your big girl undies on”. I would do that except they’re soaking in peroxide. **plus, I will be a grandmother soon and will hold her so often that I will be able to trick my own hormones. ***This is a filthy lie. 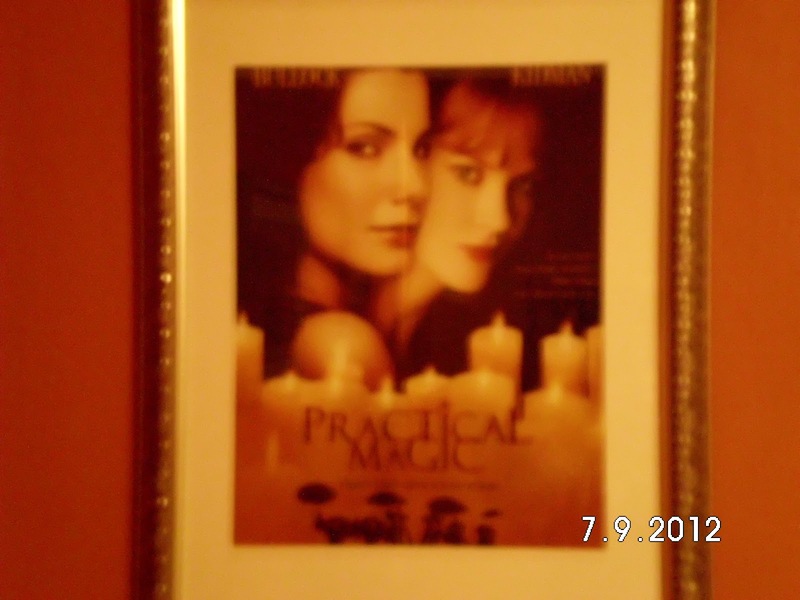 I have seen Practical Magic so often that I can recite it word for word and have the soundtrack completely memorized. Ditto for Twister. I love me some tornados. 2 Responses to "Girl trouble. Period." I love both those movies! Watched them umpteen times. Congrats on new grand baby. Now you can take a deep breath, collapse and watch a few more movies. Missed you at the conference. Deborah, I missed going to the conference too; it would have been my first one. I'm going to try to go next year though. To watch the birth of my granddaughter, though, was worth missing the conference for!